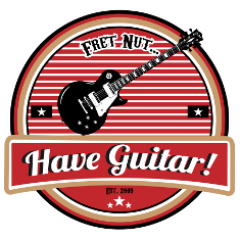 tms profiles Archives - Fret nut... Have Guitar! A review by Have Guitar! They mostly come out at night… mostly… So the Gibson Explorer Vampire Blood Moon is obviously horror inspired, I guess it’s from all those teenage vampire flings that were so popular some years back. This model came out in 2011 and it was a limited run of 400 Blood Moons. Well, the name and the theme of this Explorer might put you off but the guitar itself is really good, plays well and those active Gibson pickups and sounds good with most styles… clean is no problem, add some gain and it responds well all the way up to brutal metal style sounds. So for this review I’ve used a slightly different technique than in my previous review videos. Rather than having me reading out all the specifications of the guitar, I’ve included the spec’s together with closeup clips of the Blood Moon during the sound examples. I really think that creates a better flow in the video and if you wanna read all the spec’s of the guitar take a visit at the link provided further down. Feel free to let me know in the comments if you like this new style! Also note the sound demos are created playing through a Kemper Profiling Amp, unless otherwise stated it’s lined recordings (Kemper-SPDIF-Focusrite Saffire 6i6-Reaper) but I have included some examples described as “In the room” and that means the sound is recorded by microphones in the room, which pretty much sounds like what I am hearing while recording. And there we go! I hope you liked my review of the Gibson Explorer Vampire Blood Moon, if you wanna see more and support me feel free to subscribe to Have Guitar! A Big Fat Thanks to all you supporting me through your sub’s!! So here’s a demo of the 6SOS Kemper profile pack from TMS Profiles – and yup, that is of course based on a Peavey 6505 amplifier. And yes again, this is a brute made for harder side of the force. Still it’s a brute made affordable, you can get the 120 watt head for under 1000 euros – and in tube amp territory that ain’t that expensive! This profile pack comes loaded with 77 studio profiles and 7 direct profiles, profiled using seven different cab’s and some even boosted with TS808 or MXR Badass OD. Variety and brute force joined together, but it’s not all metal… there some cleaner sounds to be found within TMS Profiles pack as well. Anyways, have a look at the video to hear them with you own two ears. Like this video? Subscribe to Have Guitar for more videos… your support means more than words to me. To all of you who already do subscribe, as allways, a Big Thanks!!! Kemper Rig Showcase by Have Guitar! Looking for a big pack of profiles based on a Mesa Boogie MK3 Blue Stripe? Well, here is something for you then… It’s a brand new profile pack from TMS Profiles, 88 Kemper profiles going from clean to high gain – all the variety you could ask for really! If you liked the video – subscribe! If you don’t like the video – subscribe! Jokes a side, it’s just a push on the sub button but it gives my channel much needed support so thanks in advance… As always – a Very Big Thank You to all of you who already sub. You know you rock! SL5 by TMS Profiles (Kemper profiles demo) – Get this pack for free! The SL5 pack is based on a Marshall SL5 5 watts amplifier, designed by Marshall and Slash to bring out the AFD sound in a small amp and here’s the result – really nice if you ask me! This pack contains 7 direct and 63 studio profiles for your Kemper and as said – it can be yours for Free!!! Just subscribe to Have Guitar and PM me here on Youtube or send a mail to admin (at) haveguitar.com with your email adress and the pack is yours! A very Big Thanks to TMS Profiles for this! Author adminPosted on January 21, 2018 Categories Kemper Rig ShowcaseTags Free profile pack, fret nut have guitar, kemper profiling amp, kpa, marshall, profiles demo, rigs, SL5, Slash, tms profilesLeave a comment on SL5 by TMS Profiles (Kemper profiles demo) – Get this pack for free! The first video out for 2018 is a new episode of the Kemper Rig Showcase. I’ll be testing out the Marshall 30th Anniversary 6100 pack from TMS Profiles – glad to be able to say (for once) that I have actually owned the real amplifier from which these profiles are created. This pack will provide you with 90 studio profiles and 10 direct profiles, from clean to quite high gain so there’s are plenty of Kemper profiles to chose from. When I had the real deal I never really managed to get the 6100 to sound as good as these profiles and with some hindsight I think it was me at that time being the problem, not the amp… because it is obvious that this Marshall amp embodies what Marshall is all about. According to Marshall themselfes the 6100 should be able to sound like a Super Lead, JTM45, JCM 800, JCM 900 or just a high gain Marshall! Anyways this is a pack that gives an excellent snapshot of what this amp can do. Don’t forget there’s a free sample pack available, it contains six free Kemper profiles of the Marshall 6100 for your enjoyment. Hey you… I hoped you enjoyed this video? Why not start 2018 with a great action? Subscribe to Have Guitar! It’s just a click on the button for you, but each subscriber means the world for me! To all you who are alreadu subscribing – Thanks a lot for the support, y’all rock!